Every time you view a new attachment in apps like Mail, Outlook, or Spark, they save a copy of the file to your Mac. So if you receive many images, PDFs, or even small company logos, CleanMyMac will find lots of stuff to remove. 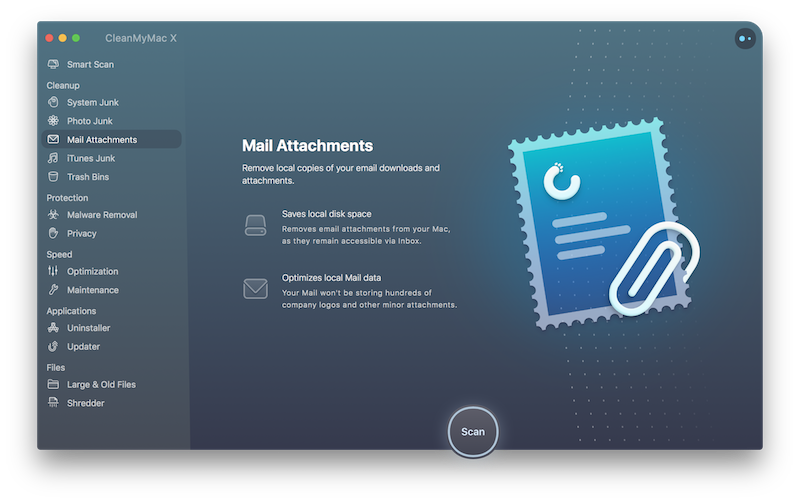 Scan: Navigate to the Mail Attachments module and click Scan. Start the cleanup: Click Clean. CleanMyMac smart-selects for removal only those attachments that can be easily brought back by either simply accessing related emails in Mail and Spark or using the Repair Folder feature in Outlook. If you have made some changes to your attachments, CleanMyMac does not select them for removal and marks them as User-Modified.